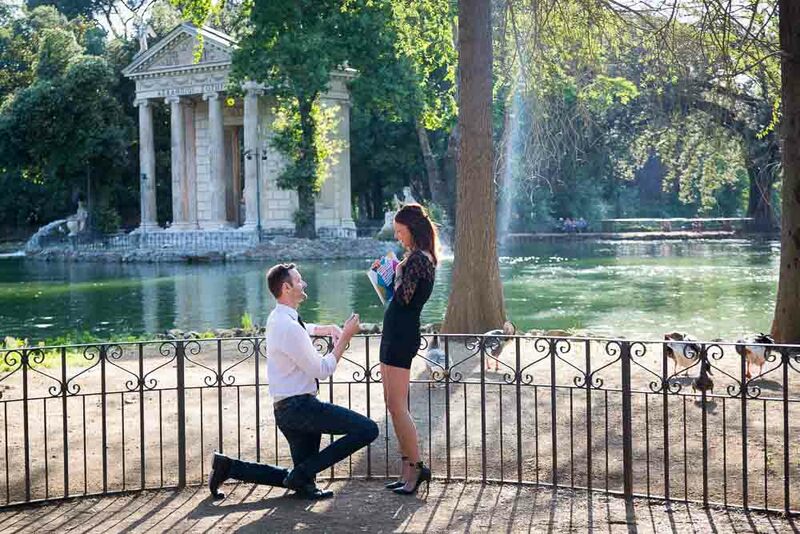 A beautiful surprised proposal taking place right at the water edge of the Villa Borghese small lake. 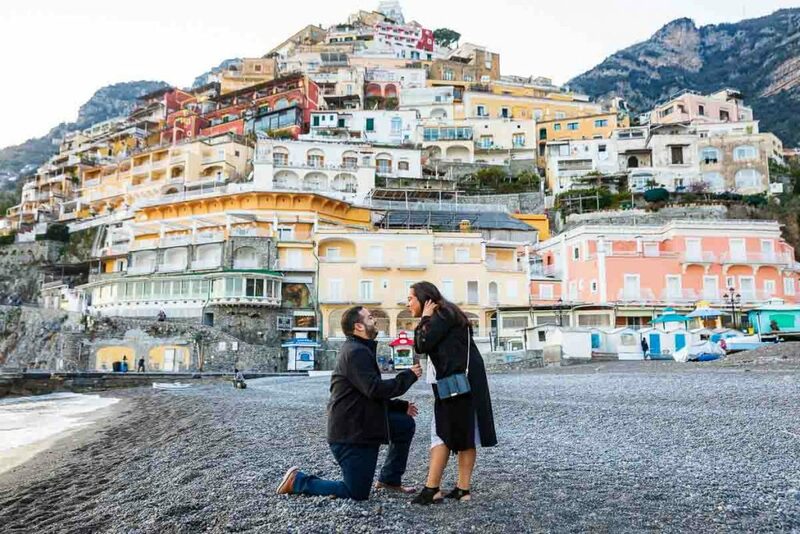 A wonderful surprise effect followed by a joyful yes! 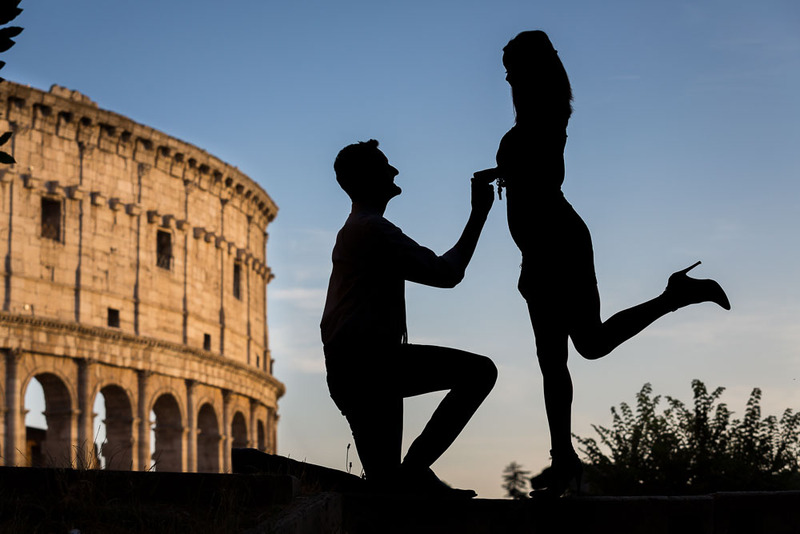 We then moved on foot to reach Temple of Diana to capture some more great engagement pictures. 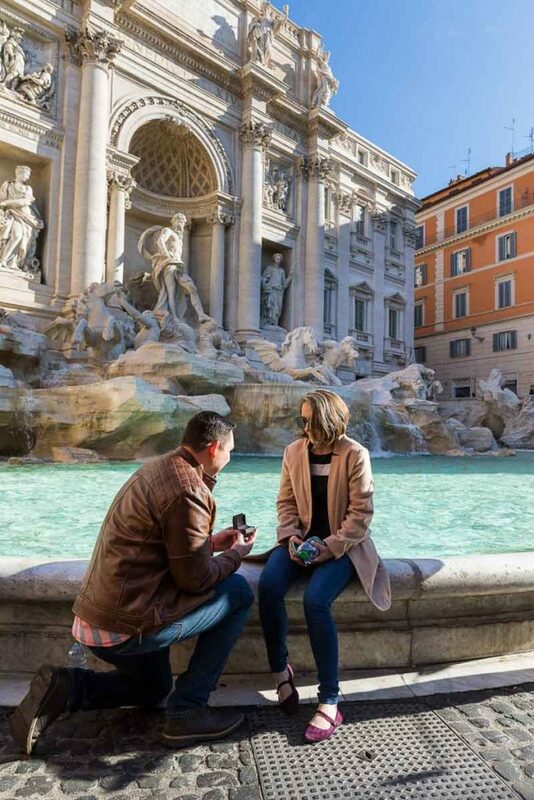 Including some of the engagement ring under fountain water! 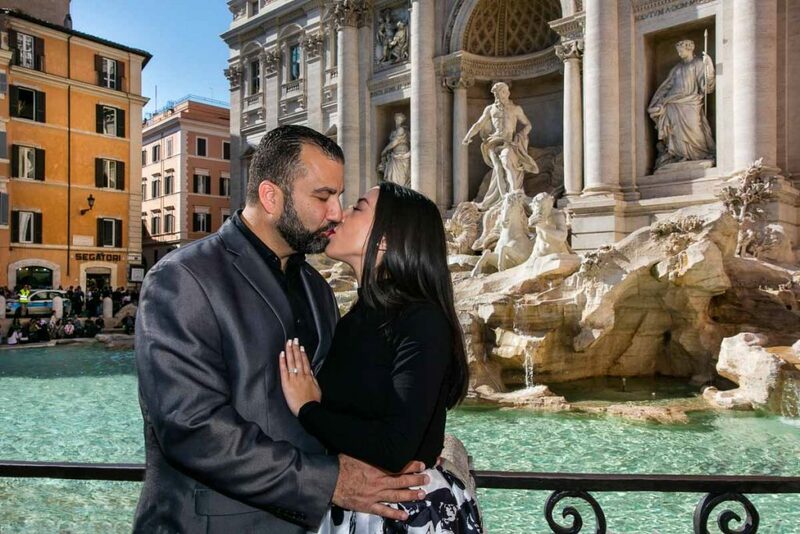 After reaching Parco del Pincio from within Villa Borghese we continued our photo shoot onward to the roman Colosseum. But not before capturing some unique images with a vintage Porsche convertible found by Piazza del Popolo!